Many people think that buying stocks is buying the future. Therefore, growth is the absolute principle. If you want to buy stocks, you buy growth stocks. Historical data from many countries, including Shanghai A-shares, suggest that the average return of high-value growth stocks is far less than that of low-value value stocks. 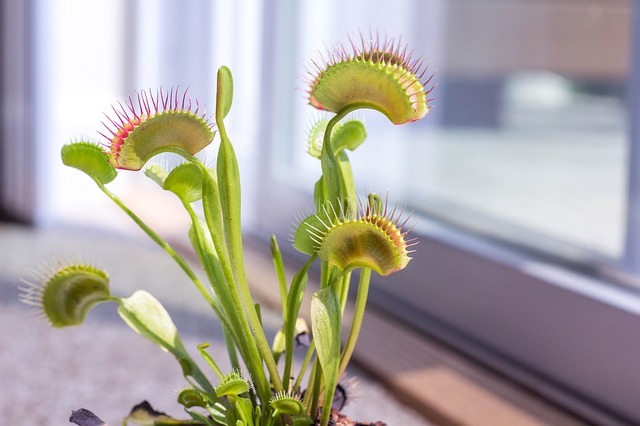 The reason is that growth traps are more common than value traps. Successful growth investment requires expertise to predict the direction of new technologies, a business vision that predicts the success or failure of new businesses, and foresight to predict future industry patterns. The most common growth trap is overpay –high valuation comes from high expectation. It is human nature to expect too much about the future, but the higher the expectation, the greater the disappointment. Statistics show that the rate of underperformance of high-valued growth stocks is much higher than that of low-valued value stocks (as exemplified by the Shenzhen Small & Middle Enterprise Board and Growth Enterprise Board). Once the story of growth fails to materialize, the double whammy of valuation and earnings expectations is often devastating. Growth stocks are often in emerging industries, such as solar energy, car batteries, mobile pay, and so on. These industries often have fight among various standards and technologies. Even for industry experts, it is hard to foresee which standard will win in the end. This kind of technology path contention often means life and death, and the winner takes all. Once defeated, the previous investment may have been completely wasted, this is the cruellest growth trap. The last round of Internet bubble, profitless growth became popular. Burning money, giving away cash is a common means to earn eyeballs. In industries with high customer loyalty and high customer switching cost (such as C2C, QQA), in the early stages of development, it is a smart strategy to sacrifice profits to achieve high growth and winner-take-all. In industries where customer loyalty and low switching cost are low (for example, B2C ecommerce), profitless growth is often unsustainable. Even profitable business, rapid expansion in fixed assets, people, inventory, advertising and other aspects requires a lot of cash, so cash flow is often negative. The faster the growth, the bigger the hole in cash flow, which leads to breakup of the capital chain in extreme cases, resulting in growth bankruptcy. For example, real estate developers got too much land in hand; directly owned (non-franchised) chain stores opened too many stores too soon (especiallya unlisted). Some growth stocks fall into the trap of blind diversification in order to achieve the expected high growth rate of capital markets. They do whatever takes to make money, and enter new fields without thinking. Therefore, growth investment should be cautious against companies whose main business is not clear and which deviates from long-term goals for short-term performance. Of course, complementary diversification (such as Cheung Kong / Hutchison Whampoa) and related diversification (horizontal improvement of product lines and vertical integration of industrial chains) are different matters. We must distinguish two kinds of industries, one has entry barrier and first-mover advantage. Success begets more success. The other has no barrier and each wave always breaks the front wave on the beach (Translator: late comer always beat first mover). Success begets more competition. In the latter industry, the reason for the failure of the growing enterprise is that they are too successful, “tall trees catch much wind” and attracting too much competition. The influx of new entrants makes innovators face endless followers and copycats as soon as they begin to enjoy success. For example, group buying, after just one or two companies had initial success, because entry barrier is low, within a year, 3000 group buying sites went online in China. No one can earn money. Even in an industry with entry barrier, if one touches the cheese of industry’s leader, it will draw a counterattack, the same kind of death. Such as Netscape (Netscape), initially a huge success, drew Microsoft’s counterattack, came to a sad end. For growth stock to grow, it must continue to introduce new products. The cost of new products is huge, the corresponding risk is also huge, but the return is uncertain. Strong as Coca-Cola, it also failed big in introducing the New Coke. Even so for a steady consumer stock, technology stocks and pharmaceutical stocks are suffering more than enumerable in new products. The sad thing about technology stocks is that new products that have been developed with great effort are often not accepted by the market. The pain of pharmaceutical stocks is that the development cycle of new drugs is extremely long, the investment is huge, yet even the experts in the industry cannot predict the final success or failure. Some small businesses are growing fast by finding a “sugar daddy (big money)”. For example, some provide components indirectly for Apple; others provide services for China Mobile. In 2010, “small and medium cap structural market run”, all these little guys ascended high. Yet in 2011, they all fell back to original true value. In fact, parasitic growth is often not sustainable, because its lifeline is in the hands of “big money”. They lack their own core competence and bargaining power. There are exceptions. Some core component manufacturers achieve oligopoly position in their own territory. Downstream companies have no choice but use their components. Some increase their product switching cost, making it difficult to replace for downstream companies. Or others become “selling point” of the end product (such as “Intel Inside”). In such cases, they already have core competence and bargaining power, become “big money” themselves. Many so-called growth stocks have actually already passed the golden age of their growth, but still enjoy high valuations. Because people tend to make the mistake of Over-extrapolation, thinking that the high growth of the past will be sustainable in the future. Therefore, when buying growth stocks, it is easy to fall into the growth trap and overpay if the industry growth space is not properly grasped and the penetration and saturation rates are not closely tracked. Value stocks also have this trap, but the problem is more common in growth stocks. One is a growth stock which market expects 50% growth, the other is a value stock which market expects 10% growth. Which one is more difficult to achieve? When it cannot achieve, in order to avoid Davis double-killing effect, a PE 50 growth stock and a PE 10 value stock, which one is more motivated to “use all means” to meet market expectations? The common characteristic of all value traps is unsustainable profit, and the common characteristic of all growth traps is unsustainable growth. Growth is a good thing. Everyone wants good things, and if too many people want, they bid up the price. While human nature always paints the future too beautiful, expectation too high, even the best things are easy to disappoint when expectation is too high. Disappointment turns into a trap. Growth itself is not a trap; the real trap is that weak human nature habitually give future growth high expectation and overvaluation.